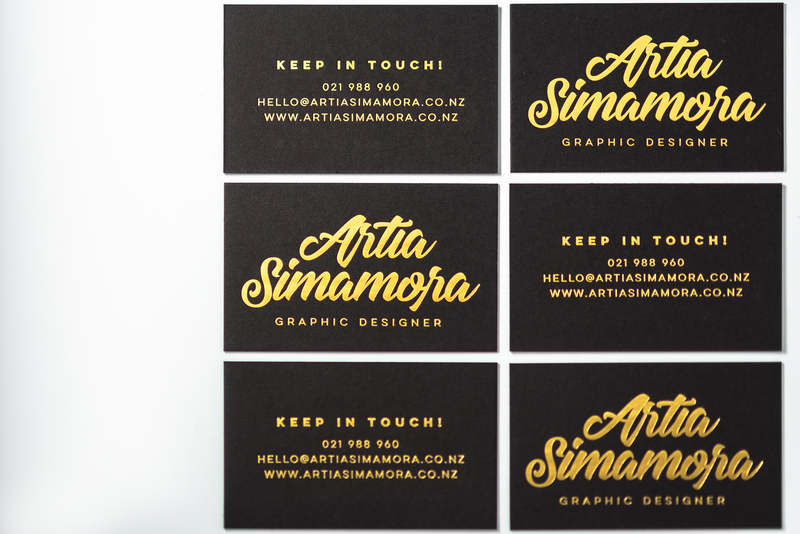 Artia Simamora designed these business cards for her personal branding as a graphic designer. “I wanted to create my own visual branding as a nice, less design and simple business card to make it look classy and at the same time still look fun and memorable,” said Artia. Artia used two fonts in her design: Hastadaya (for her name) and Lulo Clean (for her title and contact details).  Using gold texts on a black background is destined to stand out! 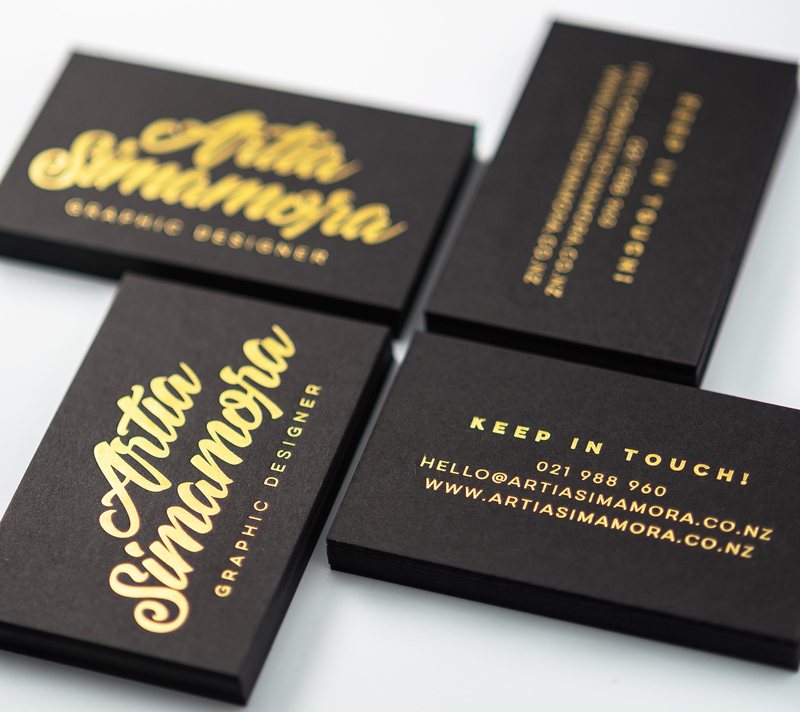 Artia printed her business cards at one of the best gold foil printing companies in Auckland named Pinc, using foil blocking method onto 300gsm black matte paper.